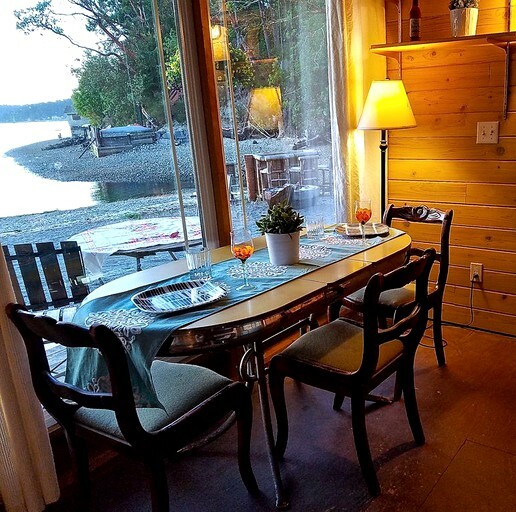 This cozy cabin getaway situated on a private beach is situated near Gig Harbor, Washington, and can accommodate up to four guests. 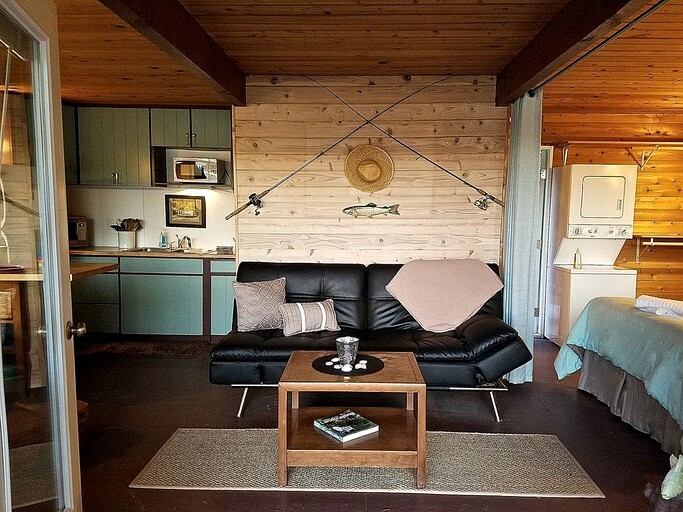 The studio layout of this charming cabin features one full-size bed and one full-size sleeper sofa with a retractable curtain that can be drawn for additional privacy. 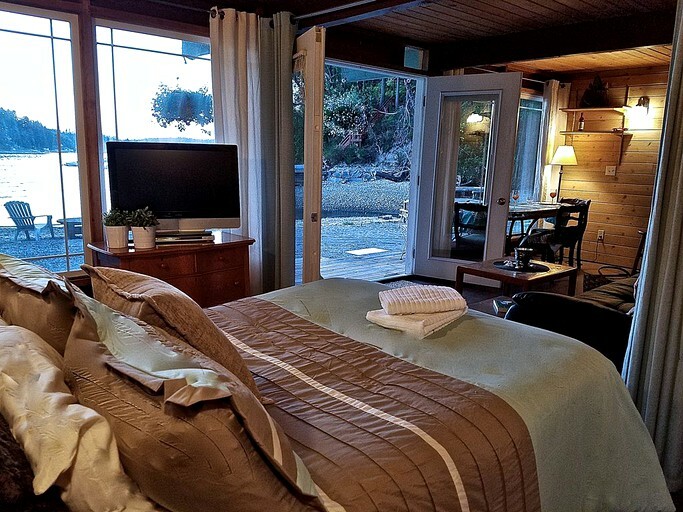 There is also a flat-screen TV positioned next to the full-size bed. 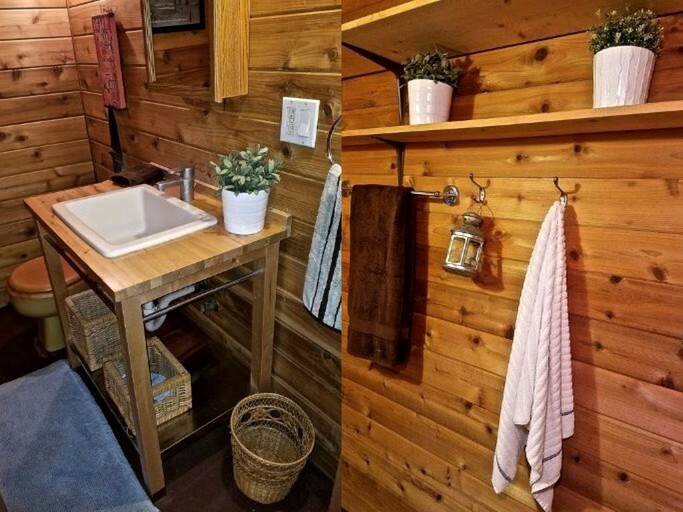 The bathroom has a toilet and a sink, and there is a shower located on the back deck of the cabin. Linens and towels are kindly provided by the host. The buttery leather sofa faces a set of large glass doors that open to breathtaking views of the coastline and the sparkling ocean. 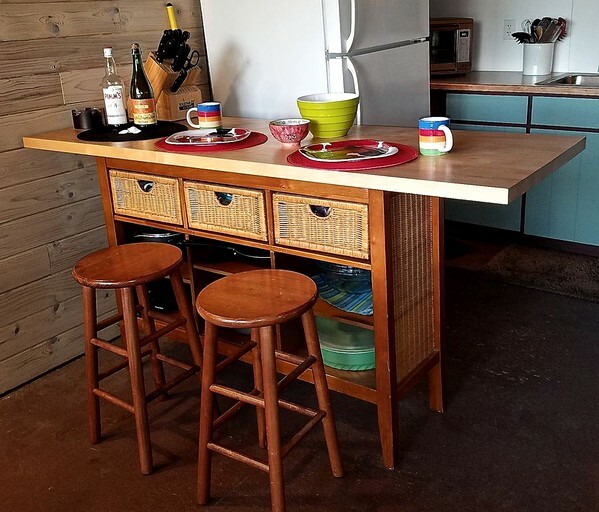 In the kitchen, guests will find an array of cooking utensils and all of the modern appliances they might need to feel at home during their stay. Guests can enjoy meals around the formal dining table with seating for four or pull up a stool to the breakfast bar. 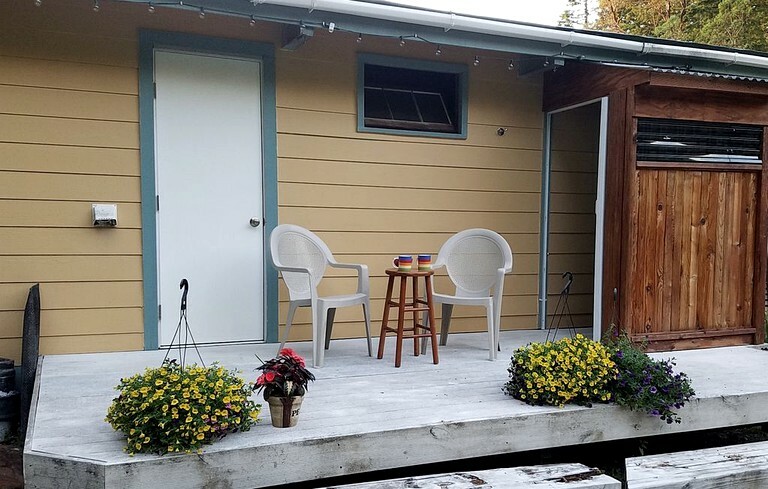 Other amenities include a washer and dryer, heating and air conditioning, free parking, and complimentary Wi-Fi. Guests will be able to immerse themselves in the tranquility of their seaside setting while still accessing modern amenities and conveniences. 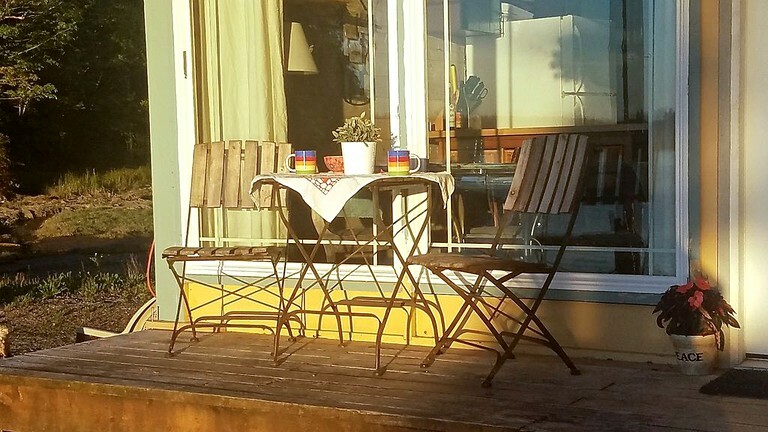 The property features a peaceful private beach, a furnished patio and deck, a barbecue grill and outdoor dining table with seating. 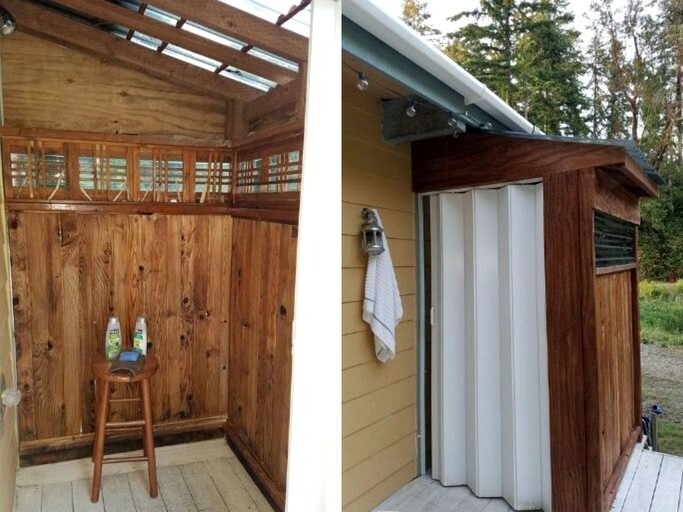 There is an outdoor shower for rinsing off after a day of fun at the beach as well as a cozy fire pit, perfect for roasting s'mores. Additionally, there are three kayaks available for guests to explore the beautiful surrounding bay. For indoor entertainment, guests will have a flat-screen TV and complimentary Wi-Fi. 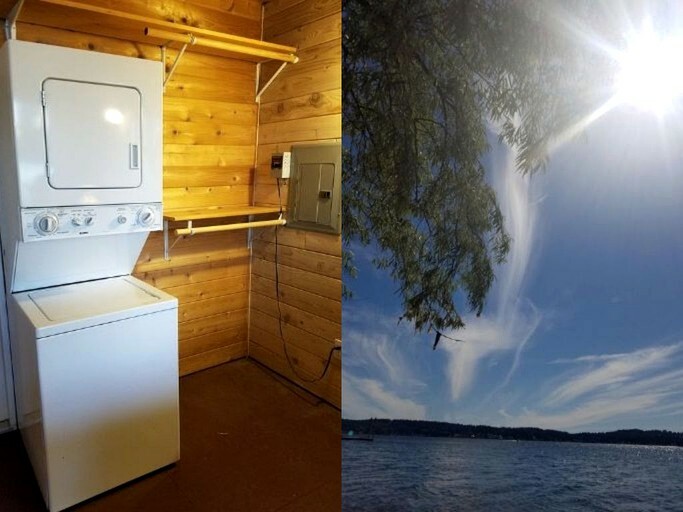 Other amenities include a washer and dryer, heating, free parking, and a full kitchen. 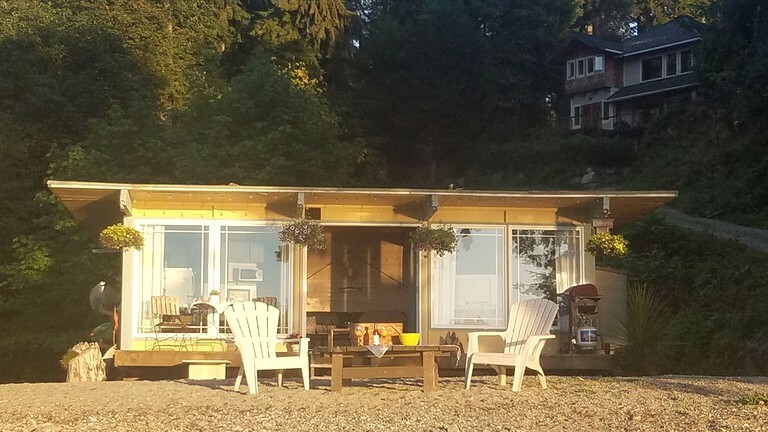 This stunning beachfront property is situated in the beautiful city of Gig Harbor on Washington's picturesque Puget Sound. 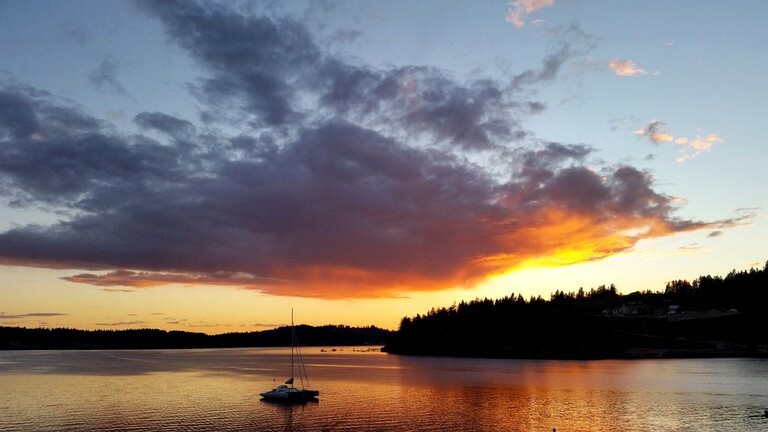 Gig Harbor is known as "the gateway to the Olympic Peninsula" and boasts a plethora of lush greenery, sparkling waters, and sandy beaches. 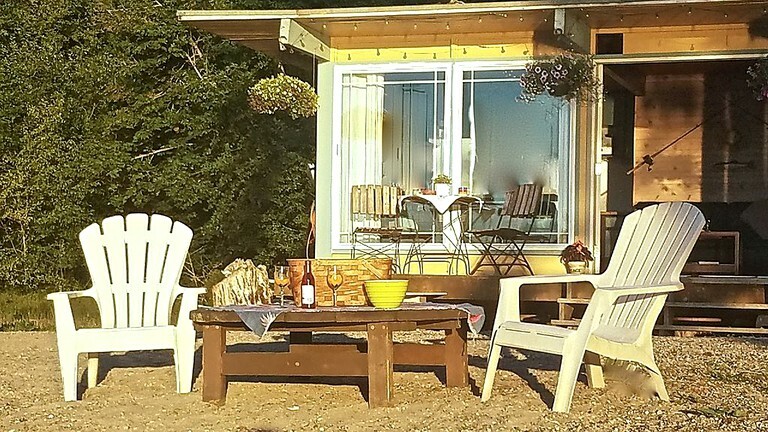 The property is situated in a private cove and has its own private beach, making this the ideal getaway for glampers seeking a peaceful and secluded retreat in nature. 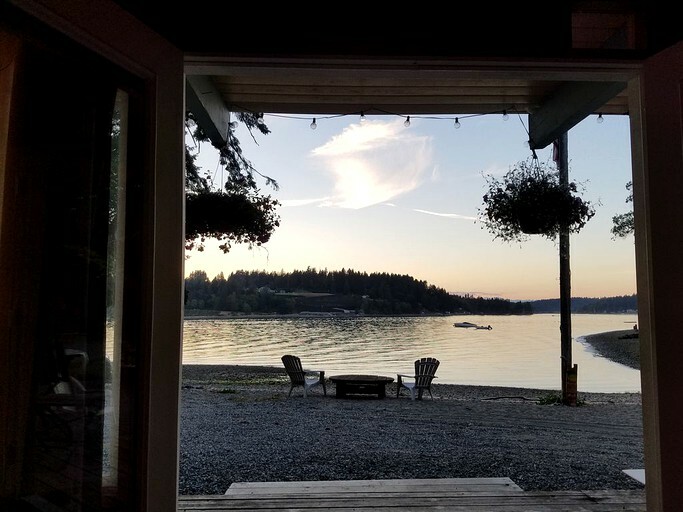 Although the location feels like a remote paradise, glampers will be only 15 minutes from a vast selection of dining and entertainment options in the heart of Gig Harbor. 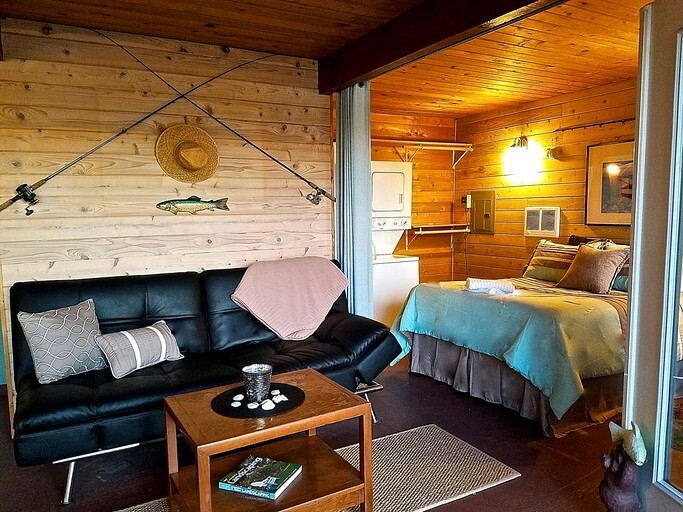 Surrounded by the magnificent natural beauty of the famous Puget Sound, glampers will find a plethora of options for outdoor recreation and relaxation during their stay at this private retreat. Guests will be able to enjoy their own private beach just steps away from the deck, where they can enjoy water activities such as kayaking, swimming, and paddleboarding. The area's plentiful lakes, coves, and picturesque bays are fantastic for fishing, boating, and canoeing as well. Animal lovers should be sure to keep an eye out for regional wildlife such as Osprey and other birds, sea otters, and seals. 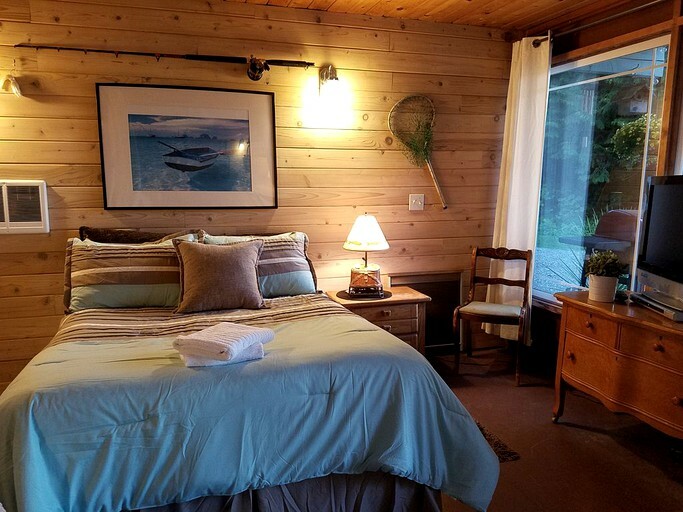 Those who prefer to stay on land can head to Tacoma Narrows Park, Point Defiance Park or venture a little further to Mount Rainier National Park or Olympic National Park. There, guests will find a multitude of scenic nature trails ideal for hiking, mountain biking, photography, climbing, and picnicking. The Sehmel Homestead Park is a great family-friendly option featuring playgrounds, athletic fields and courts, and amenities. 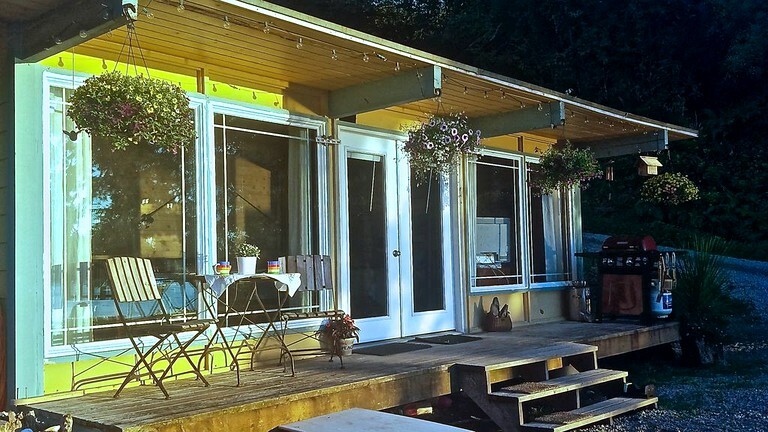 When guests are ready for a break from the great outdoors they can head to the charming maritime village of Gig Harbor where they will find dining options, a movie theater, and unique local shops. For a faster pace, guests will be just a short drive from bustling nightlife and entertainment options in Tacoma. 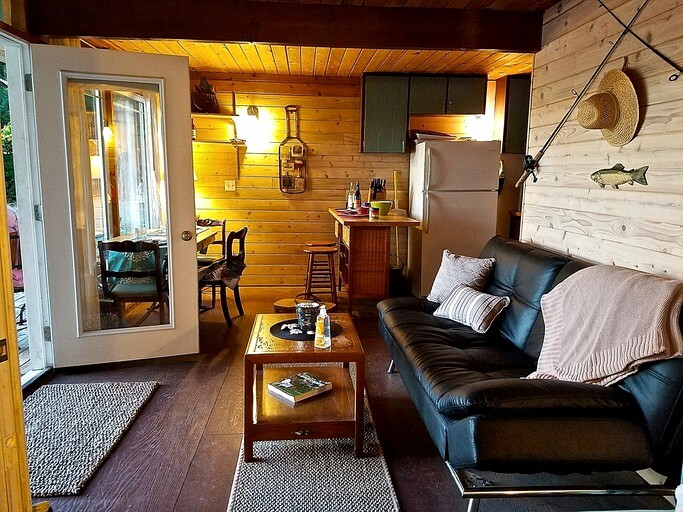 Olympia and Seattle are both within driving distance as well and boast even more opportunity for adventure and world-renowned attractions. Pets may be considered for an additional fee. For more information, guests should inquire with the host. The maximum occupancy is four guests. Only those on the reservation are permitted on the property unless there is prior approval from the host.